Matt Gillies was born in Loganlea, Addiewell, on 12th Aug. 1921. 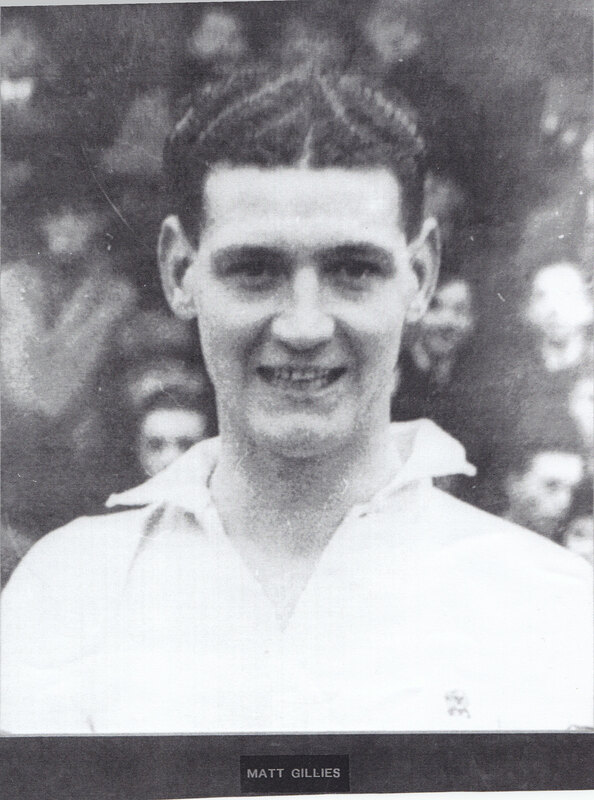 He played for Motherwell then on to Bolton in 1942 where he played right half then centre half; he also captained the side. The great England centre forward Tommy Lawton once said Gillies was the best centre half he ever played against. Matt Gillies went to Leicester in 1952. He took over as Manager in 1958 to1968. He took them to two F.A. cup finals and won the League Cup in 1964/65 season. He then managed Nottingham Forrest from 1969/72. He was well respected by other giants of the game, namely Bill Shankly and Jock Stein. Matt died on 24 December 1998 in Nottingham, aged 77.